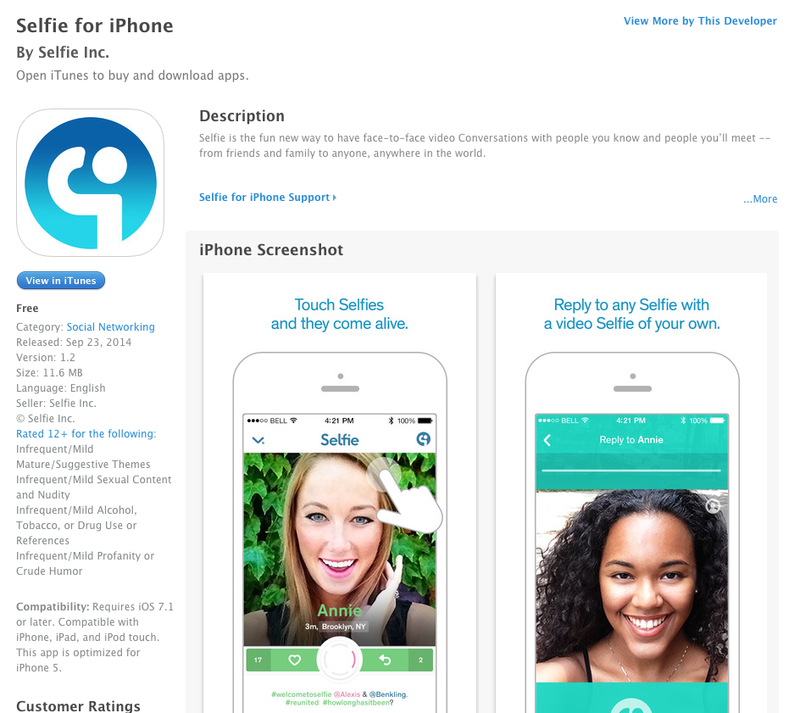 Cool things happening at Small Girls today - One of our clients, the amazing new app Selfie, launched for iOS today. 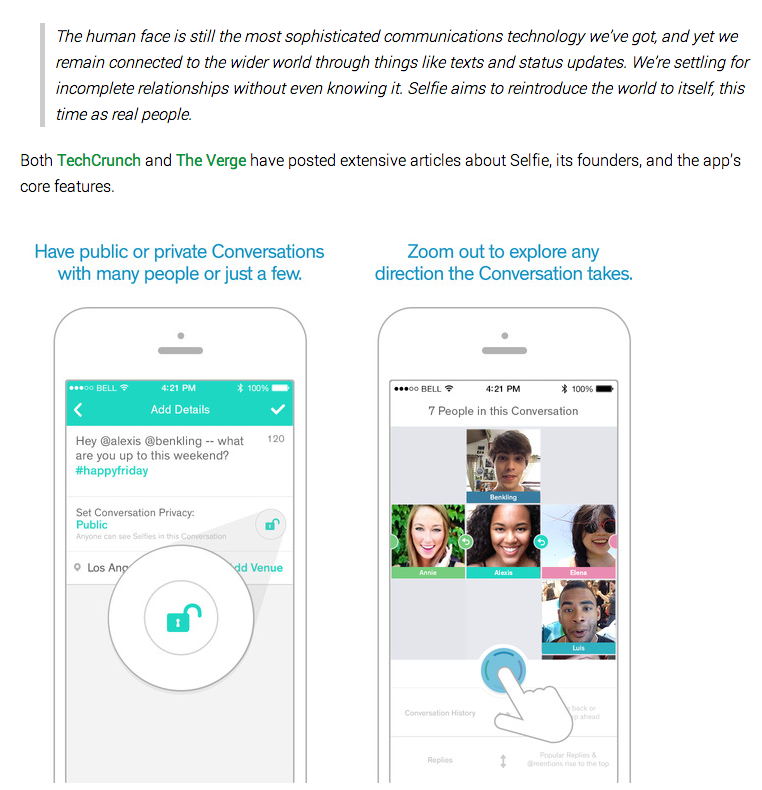 *Fun fact: when you download the app, the smiling little face the pops up on your screen belongs to yours truly. 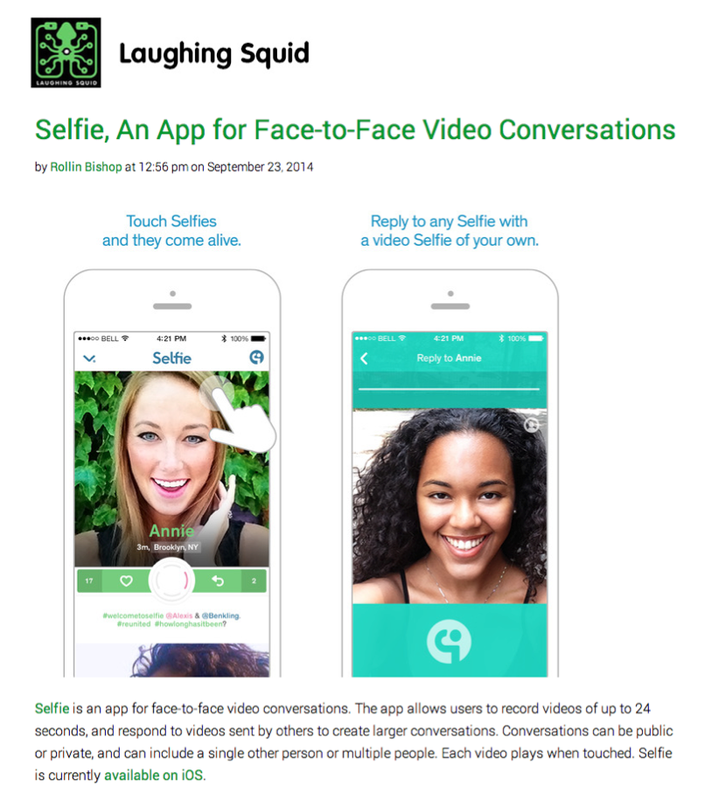 Funnily enough, that same image is also on the iTunes app page and was also spotted on Laughing Squid today. Just trying to get #AppFamous guys.